As I say farewell to summer, I'm suddenly realizing just how little time I've spent out in the sun this year. My pool days were few and far between....good for the health of my skin, yes, but I feel sooooo much better about life in general when I'm tan. It's just a fact! Anyone else? Lucky for me, faux tans are not frowned upon in today's society. 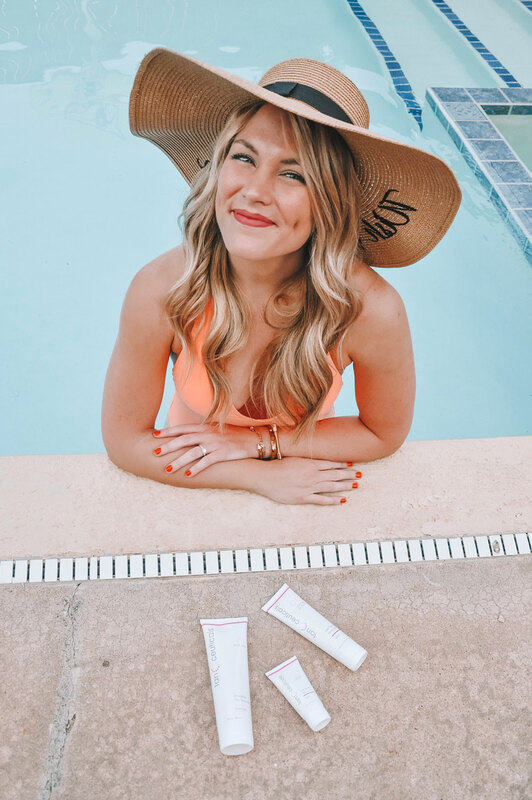 Faux tans mean you're taking better care of your skin instead of lathering on some oil and cooking under the hot summer sun. Long gone are the days of fake baking in the tanning booth, too. I hung up my key card two years ago and even though I miss my year-round tan (and my heart sticker tan line tattoo circa 2008), I know my skin is eternally grateful that I'm using a self tanning lotion instead of those harmful rays. I'm not here to lecture you, though! I believe I've mastered the art of applying self tanner. Follow these steps and you too will have a streakless, natural glow all year round that doesn't make you look like a Jersey Shore character.....but can I still get a GTL fist pump for old times sake?? 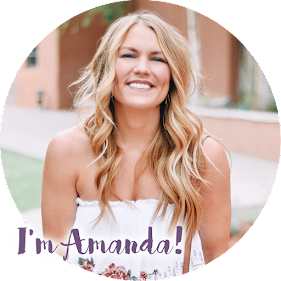 Bracelets are Kinsley Armelle - get a discount with code AMANDASOK! It is SO important to get dead, dry skin off before applying any self-tanner. This will smooth your skin and help the application process go smoothy! 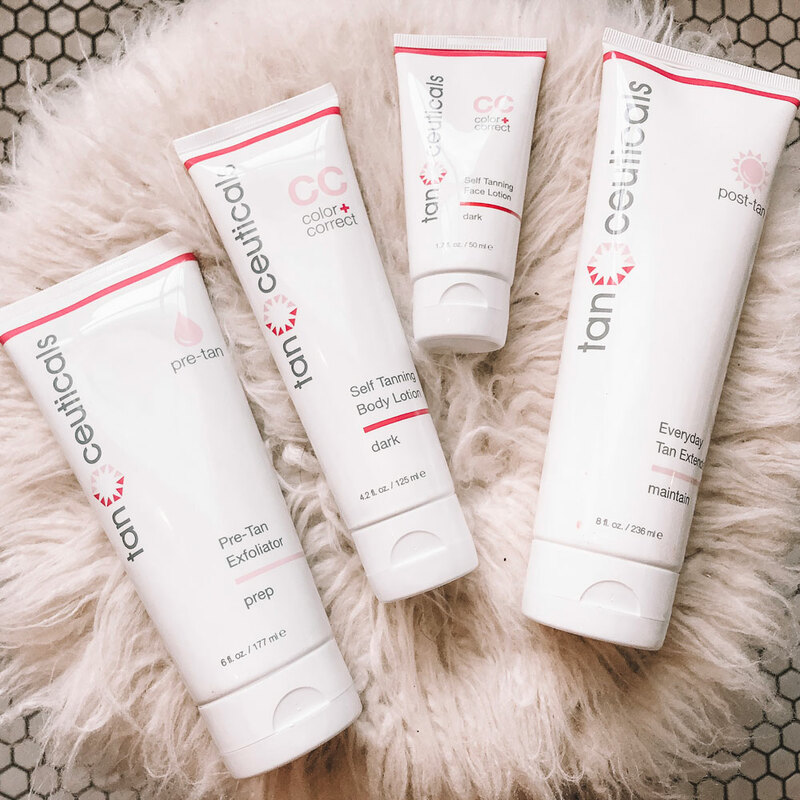 I exfoliate with Tanceuticals Pre-Tan Exfoliator, shave, and cleanse. It is recommended to shave 12-24 hours before applying self tanner to avoid having it sink into you pores and get "spotty," but I always shave immediately before and never have a problem. After getting out of the shower, I towel dry and then air dry a little longer while I brush my teeth or my hair or whatever. Drying completely helps prevent streaking! Make sure you are in a room that isn't steamy or humid, either - I have to step out of the bathroom or else my skin stays sticky. I typically don't apply any moisturizer prior to tanning, but I know some people recommend using a plain lotion on knees, elbows, ankles, or any other dry area. Now for the fun part! ALWAYS, always, always use a mitt to keep your fingers from turning orange - I've made that mistake before. The mitt is worth the couple of extra dollars, trust me. Start from the bottom and work your way up to prevent creasing. Feet first, then legs, torso and arms, applying in a circular motion. I typically save my back for last and have my husband apply it for me. I recommend using Tanceuticals CC Self Tanning Body Lotion for the best natural glow (I like the 'dark' shade). 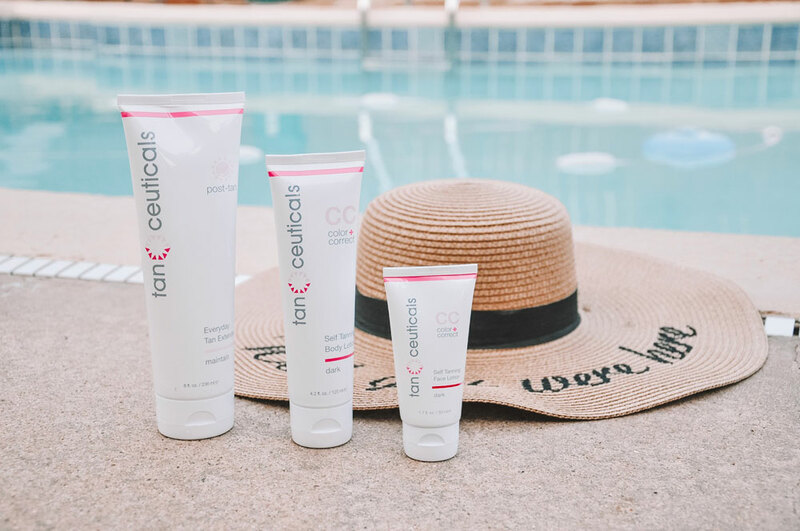 If you're wanting to tan your face, Tanceuticals also makes a facial tanner that is specifically designed for delicate, sensitive skin. If you worry about your hands matching the rest of your body, you can mix a dab of tanner with a hand lotion and apply that way, or just carefully apply using the mitt and gently wash after application to keep it from looking streaky (that's what I generally do - I just use whatever is left on the mitt after finishing the rest of my body). Unless you want your tan to streak or smudge off on your clothes or bedsheets, let it air dry! I sometimes throw on a loose cotton robe and watch a TV show before putting on my PJs and crawling into bed. Just to be safe, I sleep in an old extra large baggy t-shirt (the hub's high school baseball shirt haha). Every day following the application, moisturizing is KEY to extending your tan. I use Tanceuticals Everyday Tan Extender every night after showering! It helps maintain a good color in-between applications. If I follow all the steps to a T, my faux tan will last about 4-5 days! There ya have it! 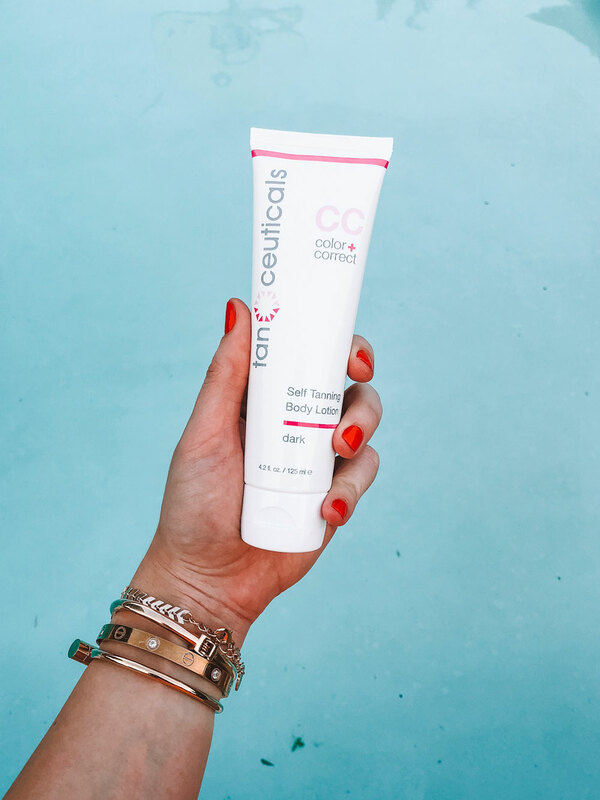 I've used several self-tanning products this year but Tanceuticals is my favorite because it smells so good (seriously, just like coconuts) and the color lasts the longest of all the tanners I've tried. The product itself is a creamy color (not orange) so it doesn't really stain the surface your skin (or your clothes); instead, it develops overtime! It also doesn't make you smell like a self tanner which is a major W in my book. Tanceuticals was even ranked as the #1 self tanner on SelfTanning.com so you know it has to be good! I typically use it once a week (I like to apply on Thursdays before any weekend activities) but it can be used twice a week for the best color. It is recommended to apply it before bed and let it soak in overnight for the best results...lucky for me I always shower at night so it is super easy to fit into my weekly routine! Do you have any self tanning tips?? Any favorite products? If so, leave them below! This post is sponsored by Tanceuticals. As always, all thoughts and opinions are my own.